Tired of losing to rival schools in front of big employers? Get the book written by the winning case competition coaches over the last five years. They’ve thought of every detail. 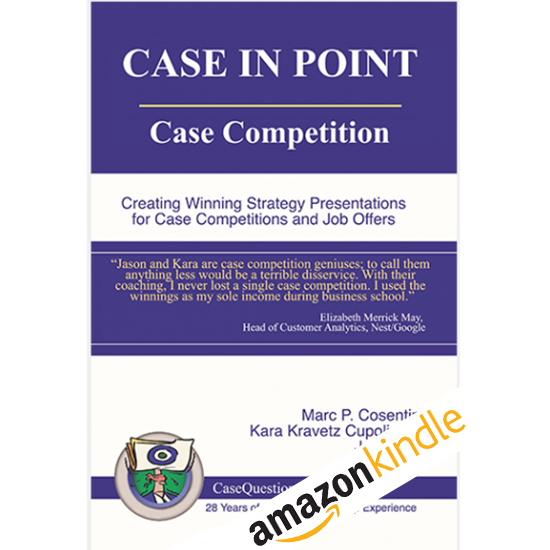 You cannot afford to be without it, because your competition is devouring every word, concept and idea. There is nothing like it available, anywhere. It will not only up-the-game of your students during competition, it will teach them valuable skills they’ll need as they enter the workforce.